iPhone users are now able to read "thousands of new articles" right from the Facebook app. In May, Facebook started testing its Instant Articles feature, allowing select news publishers to publish full stories directly on Facebook’s mobile apps. 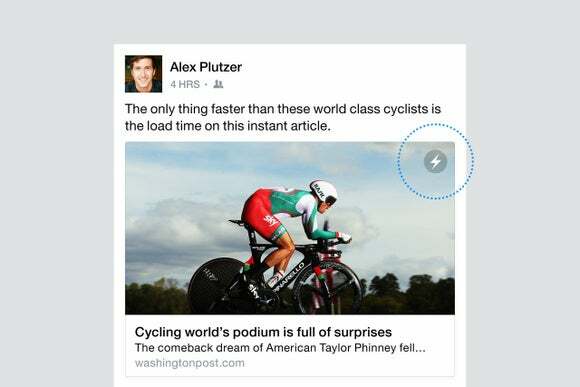 Today, Facebook announced that it had started rolling out Instant Articles to everyone using Facebook’s iOS app. 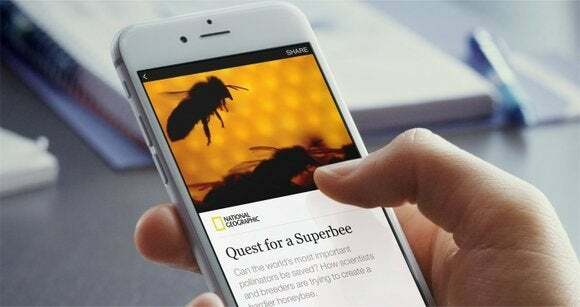 Because Instant Articles can be read in full without ever leaving the Facebook app to go to a mobile browser, they load a lot faster and create a more seamless reading experience. In addition to creating fast-loading articles, publishers also have the option to incorporate interactive features into Instant Articles, such as video, slideshows, and geotagged images linked to a map. With this wide rollout, Facebook is also expanding its list of partners. You will now be able to read Instant Articles from The New York Times, National Geographic, BuzzFeed, The Atlantic, NBC News, The Huffington Post, The Washington Post, MTV, Cosmo, Time, The Onion, Mashable, Rolling Stone, Refinery 29, People, Fox Sports, Entertainment Weekly, Bleacher Report, and others. Why this matters: Facebook is not the only tech platform eager to host content directly on its apps. Apple’s News app was unveiled with iOS 9, Twitter has started curating current events in its app, and Snapchat has been tinkering with its Discover editorial pages in recent months. Earlier this month, Google announced its version of fast-loading articles for the mobile web, Accelerated Mobile Pages, in order to fend off app-hosted content from Apple, Facebook, Twitter, and Snapchat. Facebook’s advantage, however, is that it’s already one of the biggest players in online media, driving large amounts of traffic to publishers every day. So it makes sense that publishers are eager to start creating and testing Instant Articles, especially because it’s likely that Facebook’s News Feed algorithm will favor fast-loading, in-app articles over links that take users out to Chrome or Safari. Like Apple News and Snapchat Discover, Facebook also splits advertising revenue from Instant Articles with the publishers.